Also feel free to experiment with dish – add your favorite combination of vegetables, proteins, and/or herbs and spices. To make the recipe even quicker, use some leftover roasted vegetables or meal prepped protein! Cut lengthwise and then slice. NOTE: Make sure to remove all the sand – leeks can be carrying a lot of dirt. 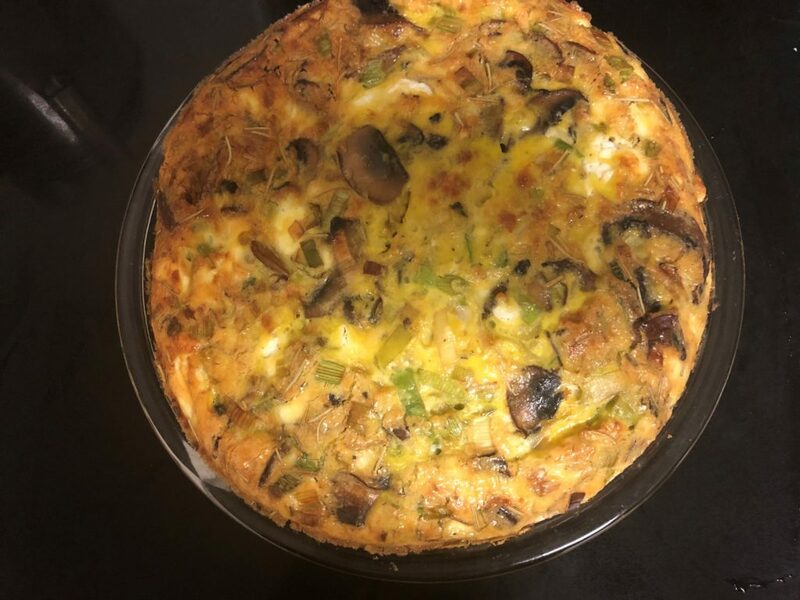 When your frittata looks like this, it is ready to be taken out of the oven! In a skillet over medium heat, heat 1 teaspoon of avocado oil. Add the sliced mushrooms. Wait a minute or two and then give them a stir – you want to give them a chance to brown. When the mushrooms have browned on both sides, add the leeks and continue to cook until the leeks begin to soften. Season with salt and pepper and add in the rosemary. Turn off the heat and allow to cool. While the vegetables are cooling in a large bowl, crack the eggs and then whisk until you have a homogenous mixture. Take a 9-inch pie dish (any shape will work this is just what I used) and add the remaining teaspoon of avocado oil. Spread the oil evenly over the pan including the sides to keep the eggs from sticking. 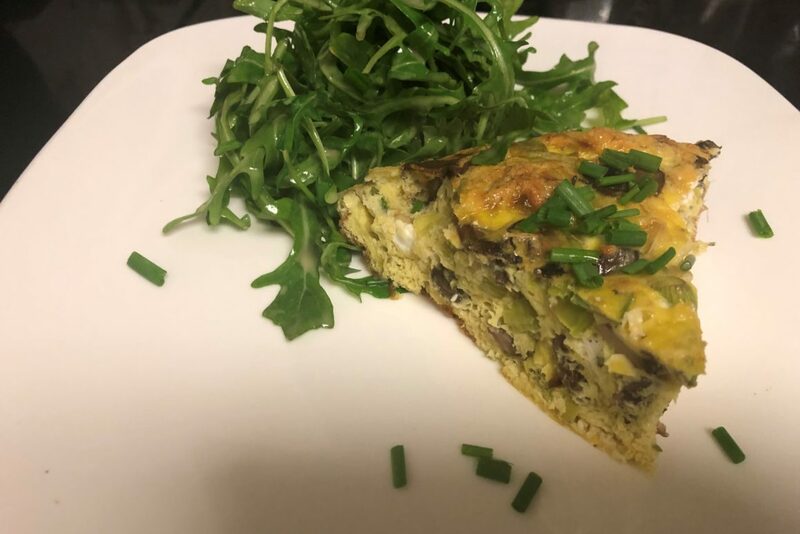 Mix in the vegetables with the eggs, then poor into a pie plate. Place the pie plate on a baking sheet, and then put into the oven. Bake for about 30-40 minutes or until the eggs have set in the middle. You should be able to put a knife in the middle and have it come out clean.